It's been awhile since I wrote reviews for Herb Alpert's music. But that doesn't mean he's stopped making it. Previously, I reviewed a pair of duet albums he did with his wife (here and here). Since then, Herb (still going strong at 81) has cranked out a new album every year for the past three years. I'm going to review these together because... well, they're all very similar. Which for Herb, is kind of an oddity. Even his Tijuana Brass work, which always had identifiable underlying style to it, evolved over the course of its thirteen year run. But his solo career which followed was constantly changing. Music has been a moving target for Herb, exploring different styles, genres, cultures, moods, instrumentation and arrangements. From melancholy and introspective to bright and cheerful, from disco to hip hop, Latin to orchestral, soft jazz to electronica, you'd be hard pressed to define him as a particular type of musician, other than "trumpet player". 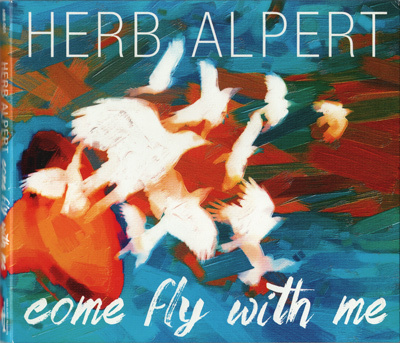 With Steppin' Out, In the Mood, and Come Fly With Me, the album titles themselves (taken from vintage songs) imply retrospection, and Herb does revisit many classic songs in the albums. From Irving Berlin to the Beatles, or from Duke Ellington to, well... Herb Alpert and the Tijuana Brass (reimagining his original hit - "The Lonely Bull", along with a few others). On the Sunny Side of the Street, Danny Boy, America The Beautiful, Ol' Man River, and a host of other familiar titles pepper the three albums. Herb has said he's drawn to classic, memorable melodies. A good song is a good song. But then he puts his own spin on them. There are new songs as well, so it's not all a trip down memory lane, except that even then, a lot of it feels oddly familiar. Where in previous solo efforts, Herb would usually stick to a particular style throughout a given album, many of the tracks on these albums feel like they're taken from another time - as if he were revisiting some of his earlier solo work stylistically. Some of this has to do with who he worked with on some of the tracks - Randy Badazz Alpert (his nephew) produced some of his work in the early 80's (notably Rise), and Jeff Lorber produced some of his more jazz-oriented work in the mid-90's. They have distinctive styles that reassert themselves in the tracks they arranged or produced on the three new albums. Other tracks have the orchestral feel of his album Under A Spanish Moon (The Lonely Bull, Europa - from Steppin' Out; Ol' Man River - from In The Mood), or the more haunting, melancholy feel of his first solo LP - Just You and Me (Oblivion - from Steppin' Out, Love Affair - from Come Fly With Me). Our Song (from Steppin' Out) sounds like it could have come off of his soft jazz album Midnight Sun. The tracks featuring his wife Lani Hall sound like they could have come from either of their two collaborative efforts. And there are other tracks which seem reminiscent of various other albums of his as well - although after a solo career spanning 40 years and over two-dozen albums, there's bound to be some familiar ground that gets covered from time to time. I suppose with Herb, since he's tried so many different things musically over the years, when he stays in one place for awhile, it seems kind of strange. Many artists make entire careers out of never moving from one spot. And that's not to say all of Herb's previous efforts have been completely to my liking - but I can always find some tracks on each album that I really like, that mark those albums as unique. Still, on these three albums, there are some tracks which defy attempts to neatly categorize. La Vie En Rose (from Steppin' Out) and Let It Be Me (from In The Mood) are almost completely stripped down to just Herb and some minimal accompaniment. 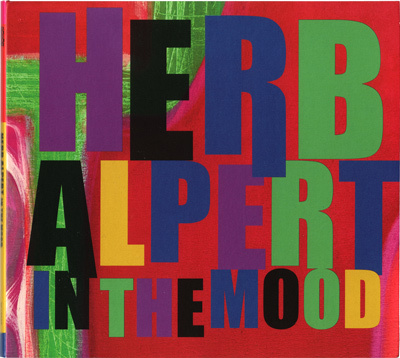 Elsewhere, Herb samples one of his own Tijuana Brass songs (Summertime - from the album Summertime) as the hook for Don't Cry (from In The Mood), turning into a completely new track. Night Ride (from Come Fly With Me) is one of my favorite tracks, since it's a completely different style altogether (it actually reminds me a little of some of Michael Nesmith's Rays), and Herb does a slowed-down version of Take the "A" Train that Duke Ellington would be hard-pressed to recognize. Confused yet? Well, this may help explain why I haven't reviewed these albums until now. I just couldn't (and still can't) pin them down. It feels like I've got Herb's solo career on random shuffle when I listen to them. I'm not saying this to be critical of the music - all of which is very good. Some of it's excellent. Herb's playing sounds great, and his band is top-notch. There aren't really any skip-worthy tracks on the albums. The problem is more sequencing than anything. As they stand now, the albums feel largely disjointed. I think taking all of the tracks from the three albums (45 in total), and carefully reshuffling them, would probably result in three different, yet overall more cohesive albums. What lends consistency to it all is, first and foremost, Herb. His playing is the very definition of timelessness. Some trumpet players do not age well, and lose their chops. But Herb has never been one for what I call "trumpet heroics". He's not a high-powered, high-speed, high-note player. That was never his thing. He is completely comfortable with, and true to his own unique style of playing, and if anything, he's actually getting better at it. 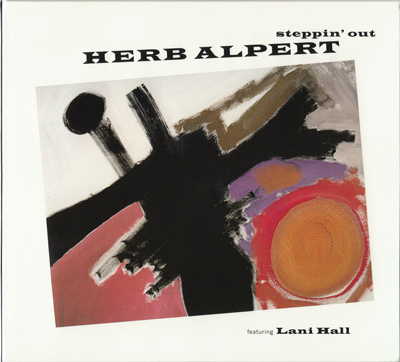 Miles Davis once said, "You hear three notes and you know it's Herb Alpert". He plays with great feeling and thought. Every note counts. The second thing which helps with consistency is the instrumentation. Apart from a few additional strings and sidemen, he's still using the same band he's been recording and touring with now for ten years. This is his most persistent line-up since his Tijuana Brass days. And the fact is - it's working for him. They are a tight-knit group, and they make great music. Taken as a whole, the albums make a solid, enjoyable collection of music. The problem is, taken as individual albums, they each lack a unique identity. Apart from Come Fly With Me, (which has the benefit of a self-titled track), I have a hard time remembering which tracks belong to which album. I'm listening to one of them as I type this, and I honestly couldn't tell you which album it is without looking. There aren't any tracks which really define any of the albums for me. Even for the music videos (see below) that he made to promote two of the albums - I still have to look to see which is from which. It's not that I don't enjoy the music... it's just that I wish each of the albums were more unique unto themselves. Herb (reportedly) has another new album coming out September 30th. I'm looking forward to it. I always welcome new albums from him. I know it will be good. But I'm hoping it will be great. Come Steppin' Out In The Mood And Fly With Me gets a 7/10.